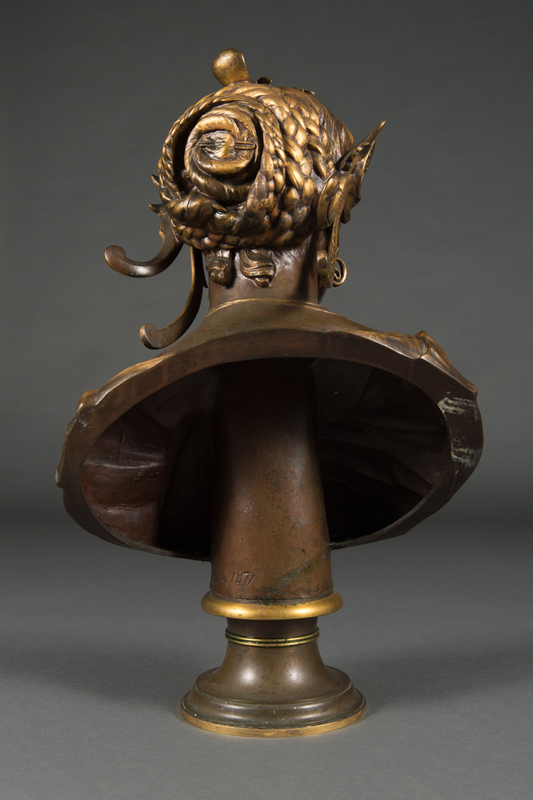 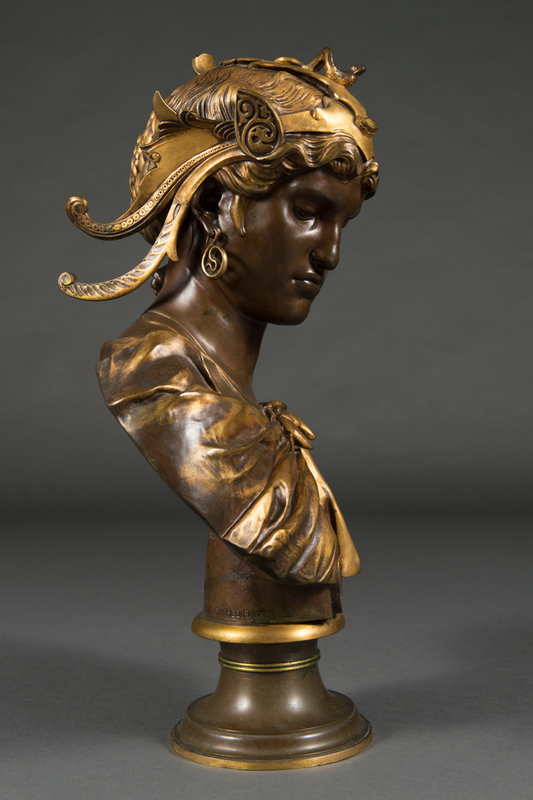 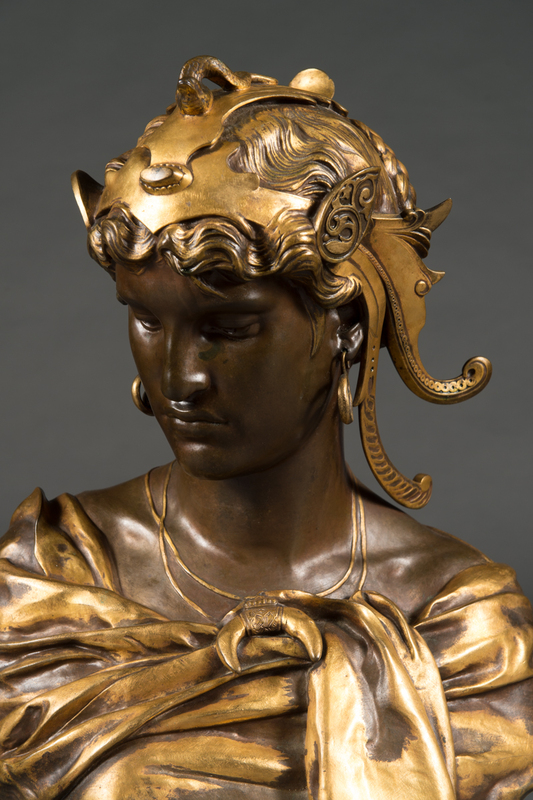 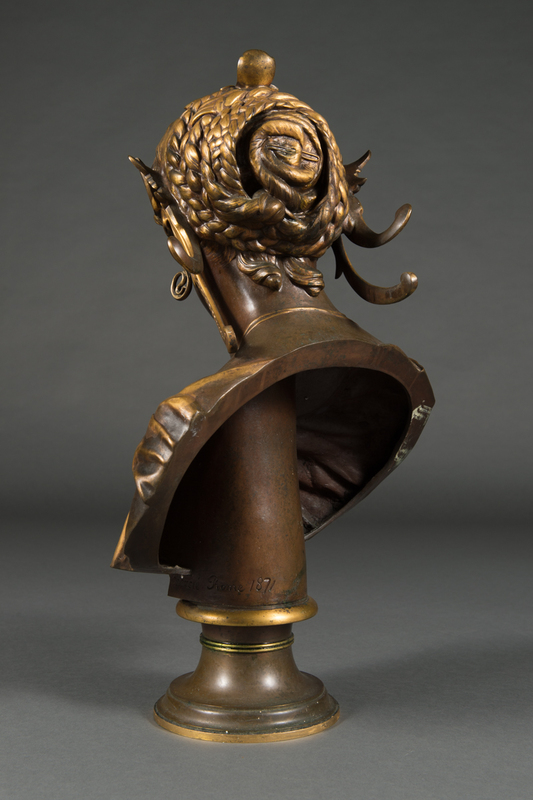 "Dalila," cast bronze with gold painted highlights, titled on front DALILA. 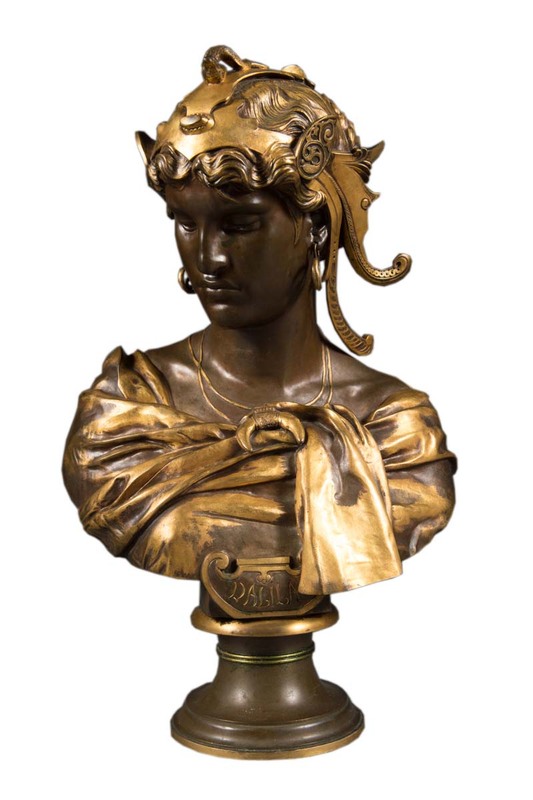 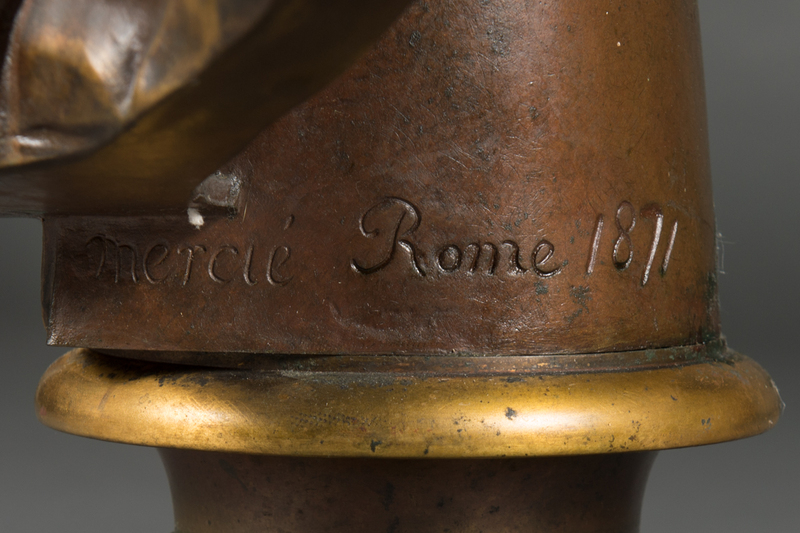 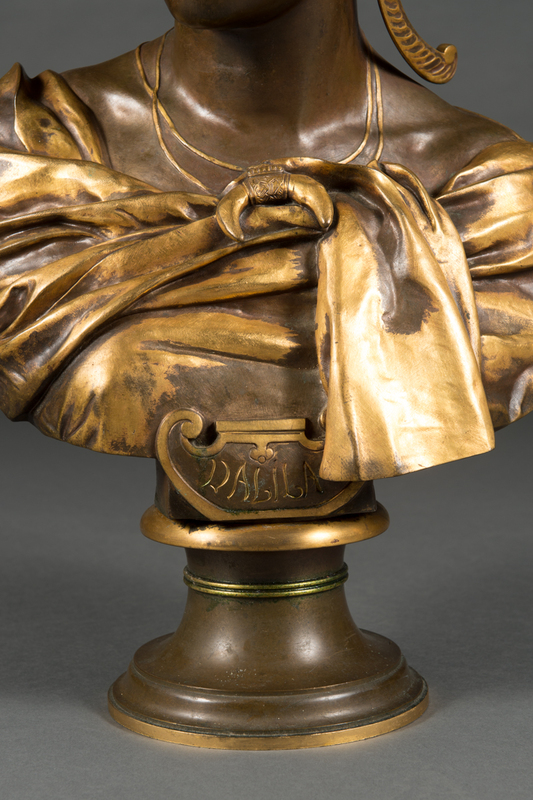 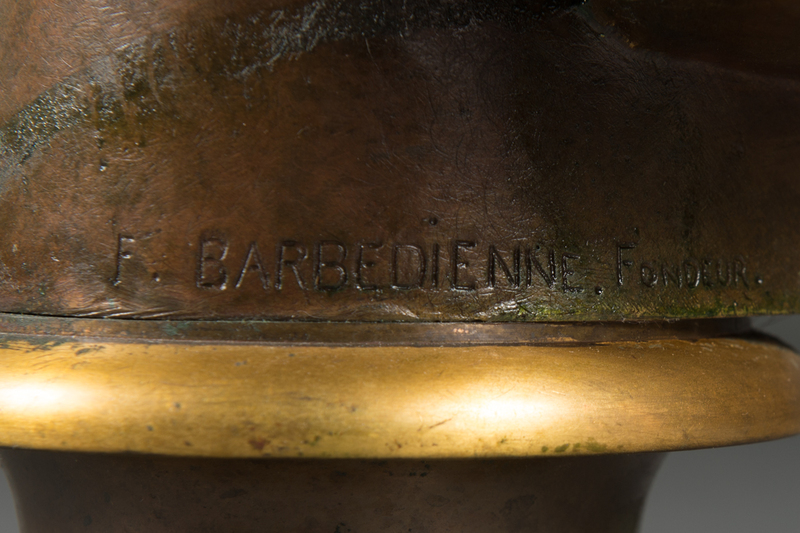 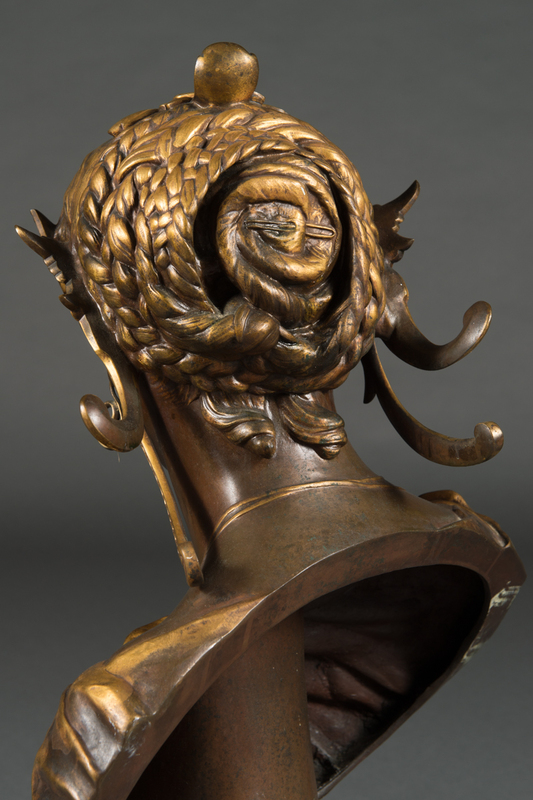 Signed on bottom of bust "Mercie, Rome, 1871" and marked by foundry "F. Barbedienne, Fondeur." 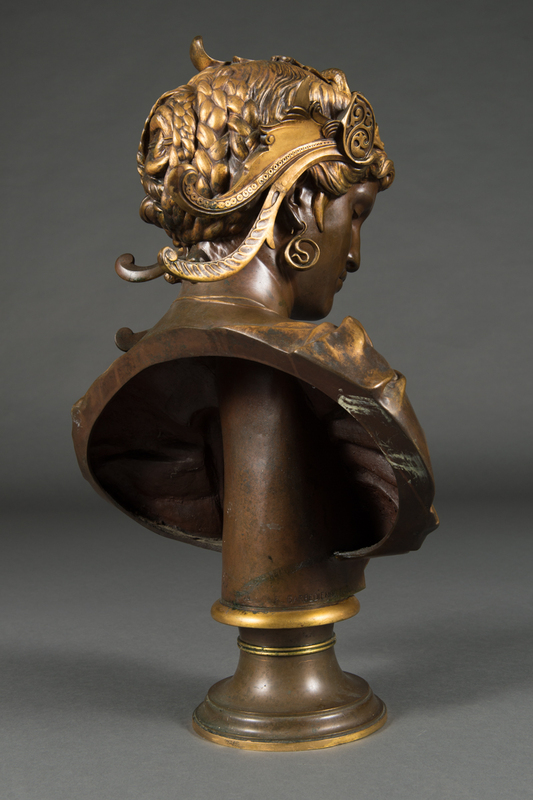 Dimensions: Height 28", width 18", depth: 13".